Back problems are the bane of the existence of millions of people around the world. Many people live with the issues for most of their lives, choosing to be in pain on a regular basis because they feel there is nothing that can be done to help them outside of medications or even worse, surgery. All of this can be avoided with Inversion Tables. However, the technological and medical advances that have occurred over time have given people with back pain many more options than they have ever had before. Among one of the more popular options for many people today involves the use of inversion therapy, which is performed on an inversion table. Many people are unaware of just what inversion tables are and how they can benefit them when they are looking for relief from back pain. Inversion therapy is nothing new and has been around for a number of years. The therapy involves the person experiencing back pain being upside down or at an inverted angle in order to successfully decompress the spine and provide some relief from the pain. This type of therapy is performed on a device known as an inversion table. Inversion tables fold straight out and allow a person to lie on the table and then at an adjusted angle or completely inverted to help to take pressure off of the back and the spine. The natural gravitational pull that a person experiences while using an inversion table will help to decompress the joints and lower part of the body and bring better balance to your body overall, taking pressure off the spine and relieving you of the back pain you may be experiencing. There are both pros and cons to using an inversion table to help you with your back. For many people, it can be a much cheaper alternative than visiting a chiropractor on a weekly basis. Regular office visits to a chiropractor can end up costing you hundreds of dollars a month in your search for relief, while using an inversion table regularly will only cost you the initial layout of the cost of the table. Tables range in price from anywhere just above one hundred dollars to as high as four hundred dollars or more, but you can still end up saving quite a bit of money if you choose to get a table of your own. You also have much better options when you have your own inversion table. Many fold easily so you can transport it and use it at home or in the office or wherever it may be needed for you. This can be much more convenient for you than trying to set up an appointment with a doctor or physical therapy clinic whenever you find yourself in pain and need some relief. The table also provides you with a more natural option in your quest to be pain-free. While many others may turn to pain medication as a solution, introducing those chemicals into your body regularly runs its own health risks and your body can come to be dependent on more and more painkillers to provide you with any type of relief, leading to larger problems for you. With the use of an inversion table, you have a more natural alternative to seek some relief. There are cons and concerns that go along with inversion tables as well. There are some people with certain health conditions where inversion therapy and inversion tables are not a good option. Those who have problems with high blood pressure, glaucoma and acid reflux are not people who should use inversion tables as the user can result in further aggravating these already serious health risks. If you do not like the idea of being upside down for any type of extended time or do not like the way it makes your body feel, you may find the process hard to get used to and you may never really feel comfortable doing it. Inversion tables are something you should discuss with your doctor or physician before you start using regularly to make sure it is something that is right for you. What Makes A Good Inversion Table? As the spine is a sensitive area of the body, and as the table will be taking the entirety of the user’s weight, it’s obviously vital that your chosen table meets a few safety and quality criteria. Even a quick Google search will warn you that it’s a fairly pricey piece of equipment. Back specialists recommend making certain the table you choose has the full safe range of motion available. That’s settings up to 90 degrees. Do know, however, that you shouldn’t start off where- they also advise that novices to the inversion process stick with the mid-degrees at first, and the injured may want to start at 30 degrees. You want a durable, stable table- there will be a trade-off in frame weight here, as the most stable frames will obviously be the weightiest too, but it’s a balance you need to strike. Do be sure to look at the table’s maximum accepted weight while you’re doing this, as you will need to make sure you’re in the right personal weight capacity for the inversion table you choose, too. The attachment points on inversion tables fall into 2 categories. The most common is ankle suspension, although a few with kneebars do exist if that method suits you better. You want to be sure the platform is adjustable so you can get the height ratio perfect for your body. Comfort should be a consideration too. Most experts will recommend a comfortable, thick back pad on the inversion table, but it’s really a matter of taste. There are alternate designs [like honeycomb back pads] and mesh back pads available, as well as some with nifty tricks like added infer-red therapy. It’s up to you and what you can tolerate best. The classic inversion table is self-powered, and you will be responsible for the inversion process. Newer models may include a motor to control the process, but these are on the pricey end of the spectrum. Vibration pads to provide a relaxing ‘massage’ to complement the process are included on many models, should this be a feature that will interest you. Which Inversion Table Is Right For You? There are a number of inversion tables on the market today to choose from for a wide range of prices, so it can seem confusing to someone shopping for the first time when looking to buy a table as to what to get. Teeter has been involved in the design and construction of inversion tables since the 1980's and has had great success as a leader in the industry, coming up with the tables that offer the best safety and support for the person seeking relief from back pain. The Ep-560 is the latest in a long line of construction from Teeter and continues the company on its path as the premier designer and maker of these products. Since assembly is often one of the most important considerations when a person is looking to buy an inversion table, the Teeter Hang Ups EP-560 stands out among many of its competitors because it arrives to you over 85% assembled, leaving just some minor assembly for the user that only takes about twenty minutes when following the easy to understand and follow instructions. This allows you to start using the device faster to get the most out of your experience. The construction of the Teeter Hang Ups EP-560 is also among the best around. The pieces are made of carbon steel that has been heat treated and the hinges are auto locking for ease and safety. They design is also among the quietest on the market thanks to the pivot bearings that have been designed to be squeak-free, giving you noise-free movement when you use the table. The machine is completely adjustable so it can fit a wide range of heights up to six and a half feet tall and can accommodate weights up to 300 pounds, making it a great table for everyone. The table is known for its comfort, safety and ease of use. 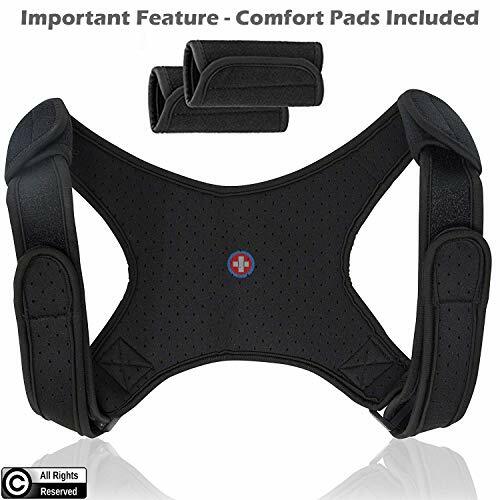 The cushions for your ankles provide extra comfort and the back features acupressure nodes and lumbar support. The device is the only inversion table certified and safety tested by UL so you are guaranteed maximum safety while inverting. There is also an instructional DVD with the table to show you proper methods of inversion and exercises so you can get maximum results. The Teeter Hang Ups EP-560 is the top choice in inversion tables for many customers and reviewers across the board. This table provides everything you could want in an inversion table and more and does it all at an affordable price for many. When you are giving consideration as to what type of table to buy, take a good long look at the Teeter Hang Ups EP-560 as one of the best options available to you. The Body Champ IT-8070 is on the other end of the price scale from the 2 models above. It’s an economical buy, and so it’s a no-frills unit. Users, however, have little to complain about and trust its build, making it a top pick for the budget conscious. Just don’t expect the added frills and whistles of the other units, and be aware of the maximum weight limit for this table is a little lower. It’s a good choice for a starter table, or for people using it infrequently, but those with injuries to address or who require a heavy workhorse may wish to upgrade to a pricier option. All in all, when it comes to picking out an inversion table, it’s key to remember that it must suit you. Past the basic safety features- secure clamps, sturdy anti-slip frame- and durability, the differences in models mainly lie in the customization options, comfort and special options offered. Spend a little research time with your shortlist of tables, and be sure the combination of options makes for a table that will be the best inversion table for you and your specific needs, especially if you’re in recovery from an injury. When you are considering getting an inversion table for yourself to help you with your back troubles, you are likely going to find several products available from IronMan, one of the leading makers of inversion tables. 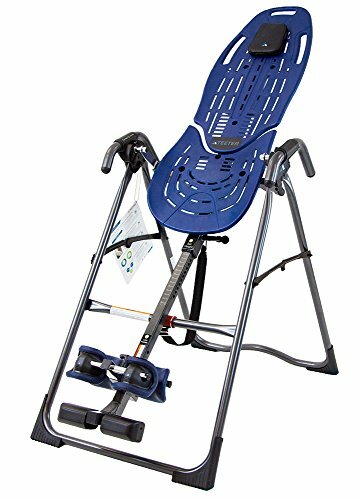 IronMan has produced several quality models of inversion tables over the years, and the IronMan Gravity 4000 Inversion Table is no exception. If you are going to be taking part in any type of inversion therapy for yourself, it is important that you have a high quality table to lie on, and the IronMan Gravity 4000 can provide you with everything that you need in a good table. The IronMan Gravity 4000 is an improved version over earlier Ironman inversion tables such as the 1000 or the 2000. With the improvements in use and stability, the IronMan Gravity 4000 is easily one of the best options for you on the market since it has a lot of great features that people are looking for in an inversion table. For many people, the ease of assembly is one of the most important components of any inversion table and can help you determine just how much use you are going to get out of the table. This table has very simple and easy to follow instructions and can be assembled in less than thirty minutes, letting you start using the table right away for your convenience. Just because the table assembles easily does not mean it is not high quality construction. The IronMan Gravity 4000 is one of the sturdiest tables on the market and can sustain a weight capacity of up to 350 pounds, making it the ideal choice for people who are of larger proportions and may have had trouble fitting on other tables. The design and structure allows for maximum comfort while you are prone with a memory foam backrest for you to lie on and an optional lumbar support pillow that you can add or remove as needed. This table also understands that overall safety is important in any inversion table and has improved and added safety features to provide you with the right back and ankle support and quality safety straps to make sure you are completely safe and stable during any type of inversion. The palm-activated locking system for your ankles makes it easier for people who may have trouble reaching the ankles during inversion. If there is one drawback to this table it is that the table itself is known to be bulky and large, even when folded for storage, so it can be tough to move for some. The Ironman Gravity 4000 is one of the best tables on the market and is priced just right for those looking for a high quality table for under two hundred dollars. 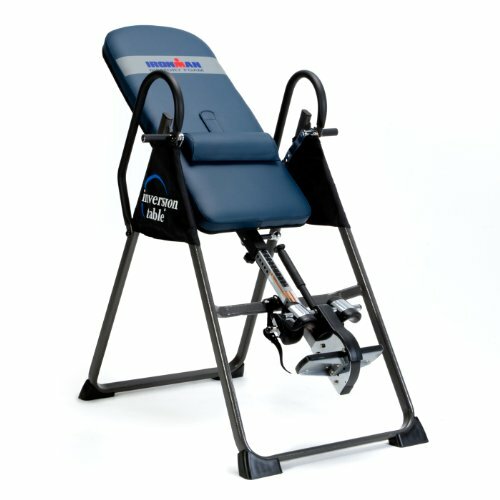 The superior construction and design that IronMan has used in this table provides great relief from back and neck pain and the table itself has sturdy and safe construction throughout the device so you know that you are getting your money’s worth and more out of the IronMan Gravity 400 Inversion Table. When you find yourself in the market for an inversion table, you want to make sure that you explore all of your options. After consulting with your doctor to ensure it is a viable option for you, you should head over to Amazon to look at the reviews left by other users. This research will help you to find the table that is best suited for you and can help you get rid of that nagging back pain. Many have found that inversion tables can provide them with relief they never thought possible.